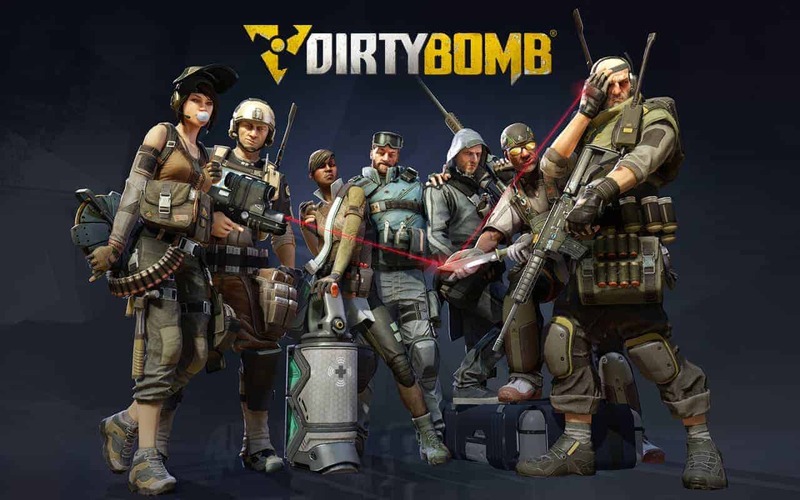 The free-to-play online shooting game from Splash Damage, Dirty Bomb, will soon welcome its biggest update since launch as Containment War invades on Wednesday, October 28th. The update will introduce a hugely exciting array of content including a brand new Mercenary wielding deadly Molotov’s and resupplying allies with ammo via an ammo station, accompanied by a new Execution game mode, brand new maps and limited-edition Containment War Loadout Cards. As an added incentive to jump into the new content players that join in on the action for the first week of the Containment War release, from October 28th to November 4th, will be treated to a permanent unlock of the recently released Mercenary, Phoenix. The Execution Mode arrives with the Containment War update featuring two brand new maps, Overground and Market, as players fight to the death in twelve rounds of single-life combat as each team fights to either wipe out their opponents or destroy a huge section of the Containment Shield via an explosive device.